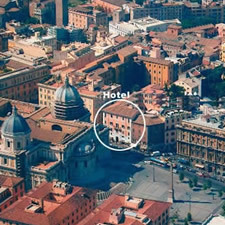 The Antico Palazzo Rospigliosi is centrally located on Via Liberiana next to the Basilica of Santa Maria Maggiore, right in the heart of Rome's historical centre, perfectly connected with the rest of the city by bus and Subway. By Air: (Ciampino or Fiumicino Leonardo da Vinci) There is a train shuttle that runs every 20 minutes, and which will take you directly to Termini Railway Central Station. It is very fast, as it takes only 30 minutes. Then follow the above indications. 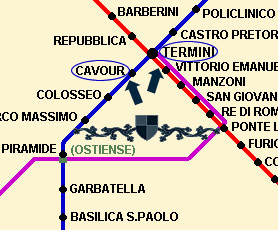 By Train: (Termini train station) We are at a walking distance from the Termini iolitti and from there follow the above indications.